After our experience at Leon, Molly and I decided to add Vantra to our list of places to try. 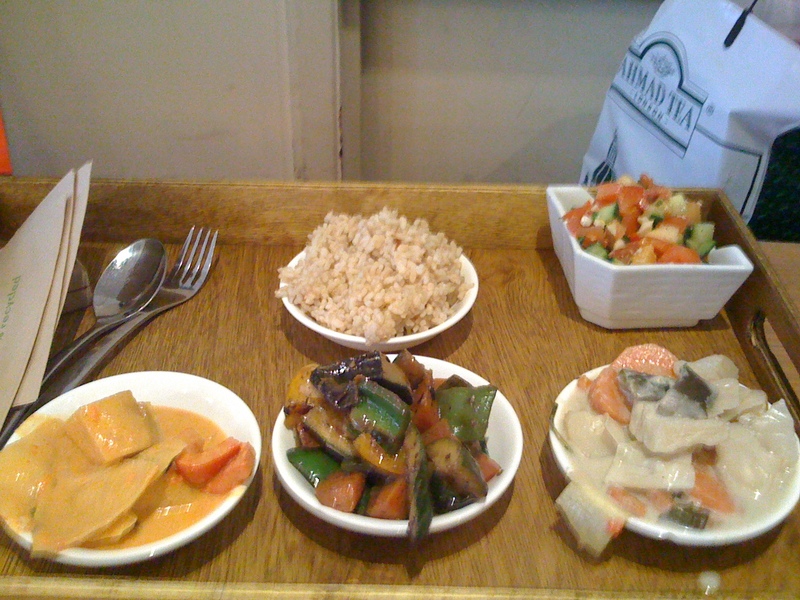 Vantra is a casual restaurant in Soho that specializes in raw, vegan and gluten-free foods. 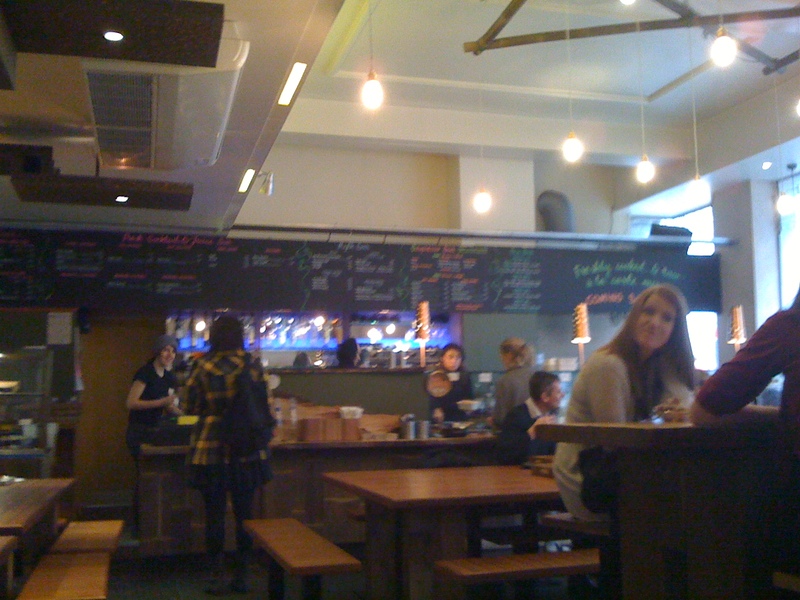 The cafe is open and inviting with large wooden communal tables and an organic food bar. “So how does this work?” I asked Molly. “You can either pick from the foods behind the counter and pay per serving or you can get a takeout container and fill it up completely from another bar yourself and pay per box.” she explained. 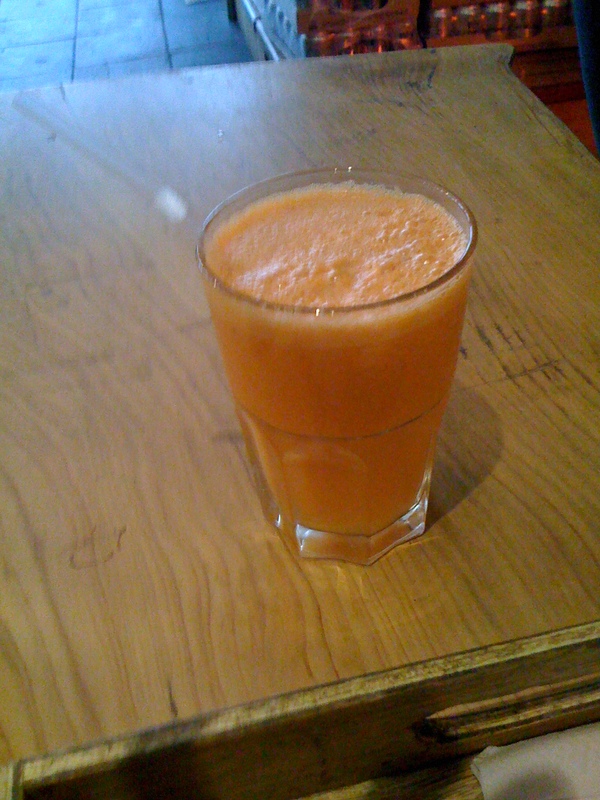 “Kind of like Luby’s but healthy and minus the take-out option.” I reasoned. The take-out self service option starts at £4 for a box and is available Tuesday through Friday. 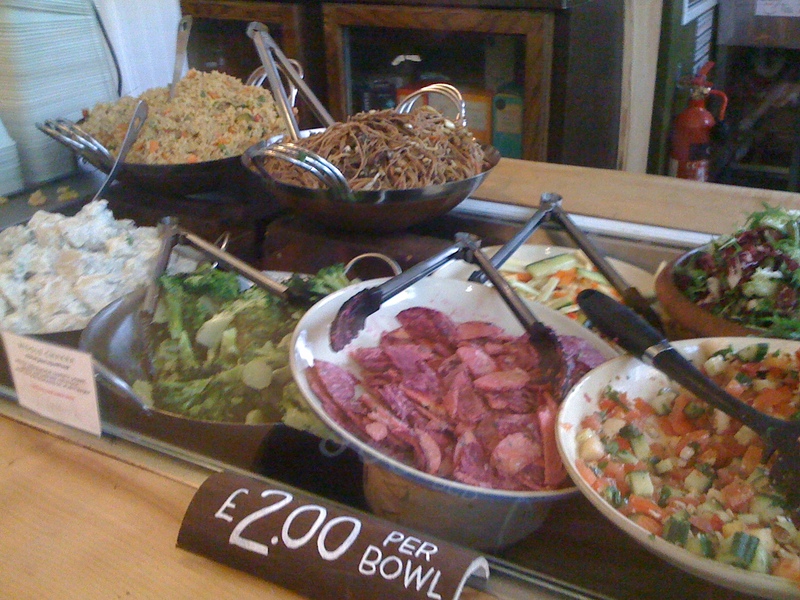 The food bar offers many selections for £1 to £2 per small bowl. In addition, you can grab crackers and dips, dim sum, kale chips and truffles for dessert. After struggling a bit with the process, getting the attention of the staff, and making our choices, we finally settled down to a table in the back. Some of the items were better than the others, but most were tasty. At £1 or £2 per item, it’s OK if you get something that’s not your favorite. 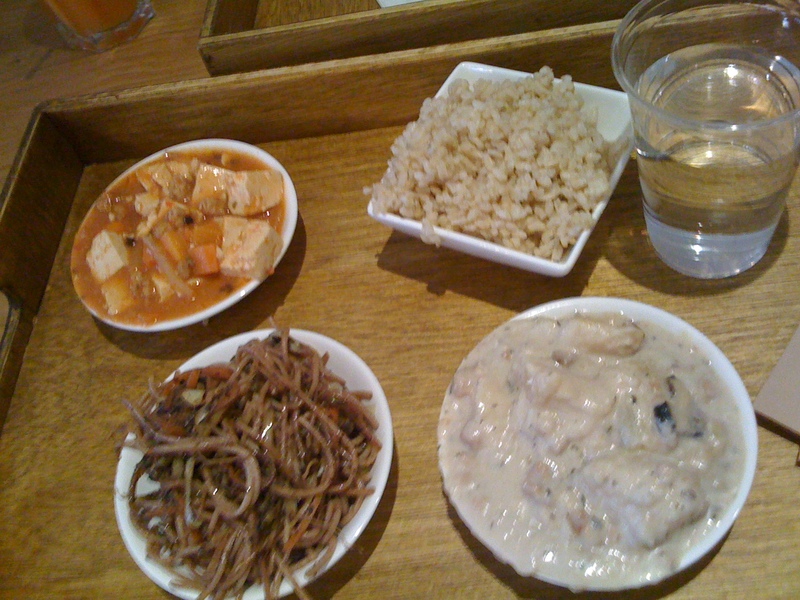 You load up with different curries, vegan stroganoff, vegetables, noodles and salads to try and go for it. 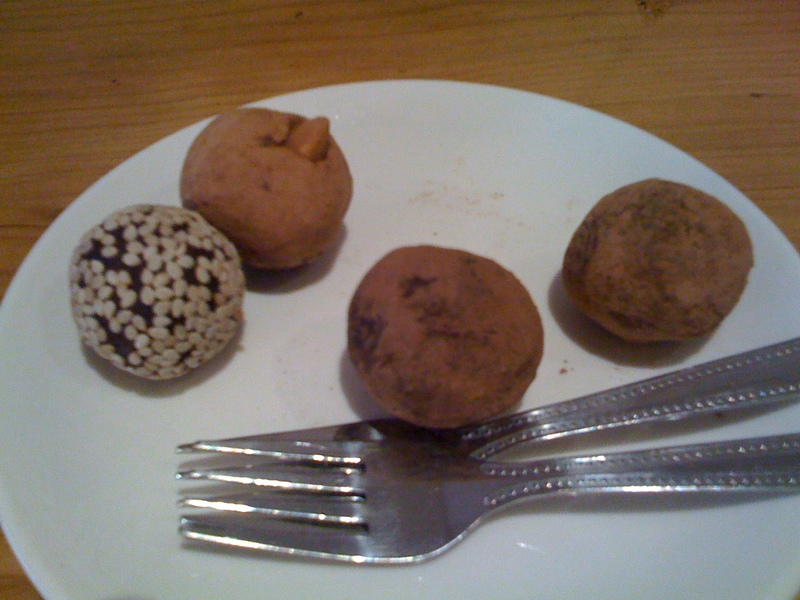 We decided to try some of the vegan raw truffles. I want to say they were great, but honestly they were just OK. I love this concept and am grateful for this option. During my visit it was obvious that there were still some kinks to be worked out, particularly when it came to the staff. Vantra is still new and going through an adolescence phase. I will be back regularly to check on it’s progress.